A set of applications developed by Margento’s engineers and representing the central point of the Margento System. With more than a dozen independent active operations, each with an independent platform constellation, our IT experts have become rich in experience in architecture, design and implementation. The Margento Processing System (MPS) serves as the core of the Margento platform. It provides transaction processing capabilities, interfaces banks and service providers for processing payments and automated service deliveries. 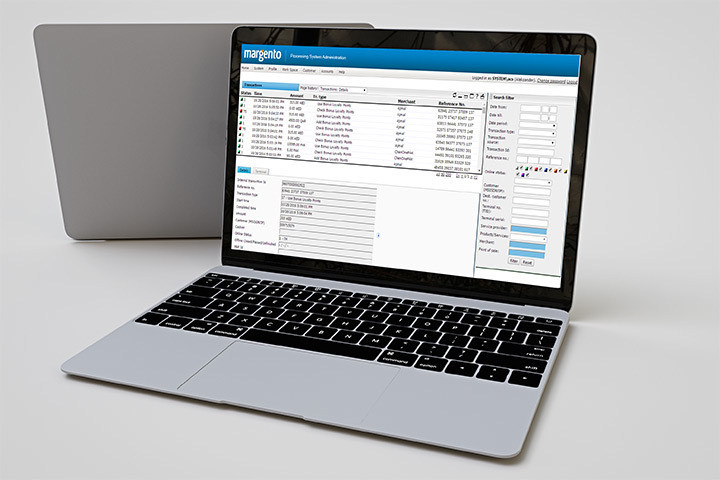 The system includes powerful configuration and management tools that are combined into Margento Processing System Administration (MPSA), a web based application used for managing the whole system configuration and operations aspects, including managing system setting, terminal networks, merchants, customers, accounts and much more. Crypto Server (CS) - a server software component, the primary task of which is to secure the communication with Margento terminals. Margento Access Point (MAP) - an interface between the Mobile Network Operator and the Margento Processing System. Margento Processing Center (MPC) – the core of the Margento Processing System. It processes the complete transaction’s life cycle. It can interface with existing payment instruments through payment interfaces or operate its own accounts, such as a stored value account or credit line account (charge aggregation account). Additionally, it can interface with external systems for registration, CRM, product and service delivery and bonus and loyalty program support. Aware that interconnectivity is essential for any system to operate, we design our platform to be open to communicate with 3rd party systems, such as financial institutions, service providers, loyalty platforms, ERP/CRM/Billing platforms. In order to assure stable, reliable and scalable interaction, we have prepared integration interfaces based on the SOAP protocol. One of the vital modules includes powerful configuration and management tools, which are combined into Margento Processing System Administration (MPSA), web based application used for managing the whole system configuration and operations aspects, including managing system setting, terminal networks, merchants, customers, accounts and much more.